Top Chef Michael Voltaggio, of Ink.Sack restaurant in Los Angeles, is known to experiment with modern techniques in his kitchen. However, he shared this quick and easy recipe with us—a shortcut version of actual sauerkraut, which takes several days or more to ferment. 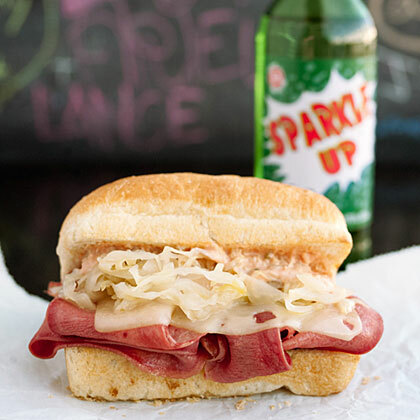 He puts it on his beef tongue Reuben, along with Swiss or gruyère and a drizzle of housemade Russian dressing. Mix all ingredients together in a microwave-safe bowl. Cover with a large piece of plastic wrap and seal edges. Microwave on high, 4 to 5 minutes. Let sit, still covered, until cabbage has absorbed its brine and bowl is cool to the touch, about 15 minutes.